On my way through the Xerjoff range, I have come to a major landmark, Ladies and Gentlemen! I present to you – the Xerjoff my husband really likes. I like Fiore d’Ulivo, but it is by no means a must have. (Finally!!!) I am reminded of Ormonde Jayne florals, namely Frangipani and Champaca, but to tell you the truth I prefer both of them to the Xerjoff. Notes include lemon peel, basil, lotus blossom, ambrette seeds, olive, jasmine, magnolia, benzoin, ambergris and musk. The start is dominated by the watery beauty of lotus blossom and the sparkling freshness of lemon and basil. After some time the floral heart takes over and while I have never smelled real olive blossoms, this accord of whitest jasmine and magnolia is pretty and soft. All the while the smokiness of benzoin is peeking through the florals, grounding the scent and making it a bit less exuberant and happy-go-lucky, which I like a lot. Fiore d’Ulivo keeps up the freshness and tender floral beauty for a long time, the drydown of soft musk stays for the entire day. Longevity and sillage are above average and generally the high quality of the perfume is apparent to me. I would absolutely take a bottle, were it given to me and I would wear it often. 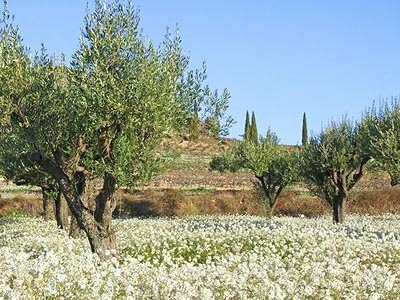 Fiore d’Ulivo is an easy choice, a lovely, happy, mood-improving perfume that smells pleasant but has some depth as well. 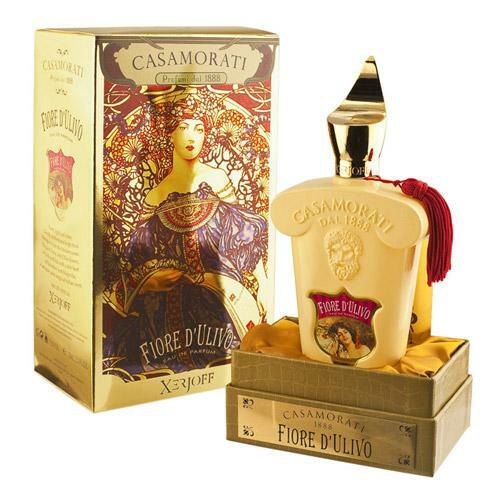 This entry was posted in Floral, Fragrance Reviews, Xerjoff and tagged Casamorati, Fiore d'Ulivo, floral, Fragrance, Perfume, Review, Xerjof. Bookmark the permalink. Isn’t it nice when you find that you prefer a similar, but much cheaper perfume, to an expensive one? It’s funny, I just sent a sample of this to Vanessa because I think it’s more her style than mine (though we’re not too far apart). Am trying this now for the second time today and on me it is exactly like lemony herby olive oil to start with (even the slightly oily consistency, which might also be the lemon peel). The opening is the phase I am not too sure about, but the drydown is very pleasant. I am not one for basil you see, which goes a bit muddy on me (witness the major flop that is JM Lime, Basil and Mandarin). This one reminds me – vaguely, as it was a long time ago – of Ginestet Sauvignonne or Festival from Les Parfums du Soleil ie a bit acerbic and herby, at least to start with. Thanks to Tara, but this probably isn’t my style either, though I was most interested to try it. If Mr O likes this, that is a major result, and luckily you don’t mind it either! Thanks for chiming in with your impressions, I can see how the basil makes this difficult for you, it is rather pronounced in the beginning. LOL re the $350! I do rather like Reflection now you mention it. The Fiore d’Ulivo is well into its drydown now on the sides of both hands and it is smooth and lovely and mood-improving and all the things you say. It’s just the opening that is the stumbling block, it would seem. These Xerjoff’s have to be REALLY pretty at their price point! This one sounds nice, would you say that the olive note is prominent at all? I like the idea of a floral with olive. I tried Iriss for the first time when I went to London a few weeks ago. Now, that is a Xerjoff that I would spend the money on! I agree. And some are, but this is not making the cut. There is a certain salty/savoury aspect underneath the obvious floral notes, I guess that’s the olive and it surely makes the perfume more interesting. As for Irissss, oh my, it is gorgeous, but you know, it is not that far from Iris Silver Mist in my mind. I could send you some of that if you want? Drop me a line, if you’d like a small decant. But not quite interesting enough it seems! I may just take you up on that offer, thanks B! Will make a little package ready for you asap! I won’t state the obvious, caps, look et al, but does Dr O. know about the crucial style change, that necessarily comes with wearing this scent, he will need a new car, a camaro in yellow?, versace, bijan and dolce wardrobe and a lot of gold chains around his neck, think A-Team!, along with a totally new hairstyle, I’m gonna watch out for those changes in the neighbourhood! That is nice, that your BF likes Back To Black as well, he has expensive taste. Maybe he is a fumehead in the making? Some really seem to love this one. I frankly can’t get behind Xerjoff/Casmorati prices. Oh, and I’m also a big fan of OJ Frangipani (much less so of Champaca; I like Sampaquita better). Thanks for the comparison. OJ seems so very inexpensive in comparison, too, doesn’t it? Haha. Oh, I have compared Oesel to Fleur du Male, and they are quite similar indeed. Although if money where no object, I’d take Oesel in a heartbeat, because it is so much deeper and richer. One is a Fiat, the other a Mercedes, but admittedly both get you from A to B.